The University of Miami BFA Musical Theatre Conservatory is extremely proud to present their second annual post-showcase celebration at Feinstein’s/54 Below with the BFA Class of 2019! This one-night-only performance will feature the ensemble of graduating seniors, in conjunction with special guest UM alumni. 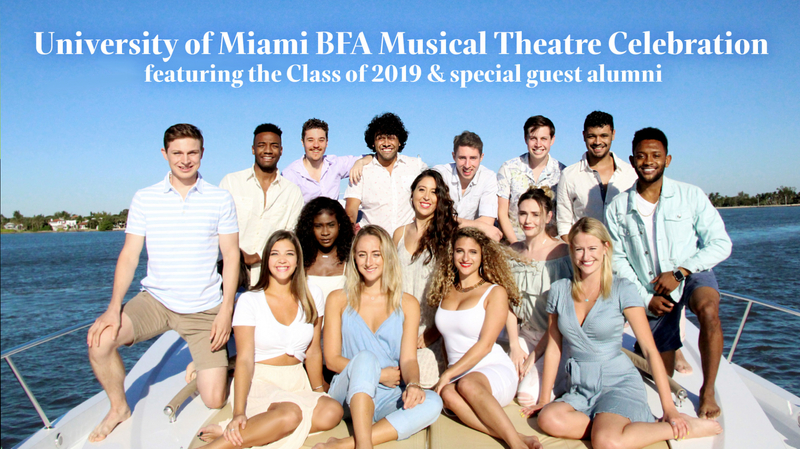 Get ready to enjoy a variety of classical and contemporary musical theatre repertoire as the BFA Class of 2019 makes their Feinstein’s/54 Below debut. We can’t wait to see you there for a performance you won’t want to miss!